Establishment of a domicile and predominant physical presence in Oregon for a period of 12 months or more prior to the beginning of the term for which residency is sought. Financial dependence on an Oregon resident or financial independence and the nature and source of financial resources. Primary purpose for being in Oregon other than to obtain an education. After reviewing the residency information, if you believe you qualify for residency for tuition purposes you may submit the residency affidavit and all supporting documentation. See the Guide to Oregon Residence Classification for instructions on how to fill out the residency affidavit. Submitting your completed affidavit as soon as possible is recommended. However, residency affidavits with all required supporting documents must be submitted to the Office of Admissions by close of business on the deadline. The deadline is always the last day to register for the term in which resident classification is sought. Processing of affidavits can take two to three weeks, so it is highly recommended that all materials be submitted at least 30 days prior to the first day of the term. (See below for specific deadline dates). These deadlines will be strictly enforced. Is there a difference between being an Oregon resident and residency for tuition purposes? Yes. Every state organization may have its own rules and regulations as to what determines a resident. Oregon Public Universities (OPU) are governed by the Oregon Administrative Rules (OARs), Chapter 580, Division 10 – Board of Higher Education when determining residency for tuition purposes. You can read the rules here. Why is there a tuition separation between resident and nonresident? In Oregon, as in all other states, tuition at publicly supported four-year universities is higher for nonresident students than for resident students. The goal is to provide support preference to bona fide Oregon residents. How is my classification determined? A section of the SOU application for admission helps us determine whether the applicant meets the qualifications set forth by the OARs. If the information provided does not meet these criteria, is incomplete, or has conflicting information, the applicant will be considered a nonresident. How am I notified of my classification? The primary way you are notified is in the Conditions of Admissions statement in your Admissions packet. Under “Tuition Classification” the statement will read Resident or Nonresident. You will also find your classification on the Needs Letter that we send, notifying you of any additional materials we need to complete your application for admission. I am receiving the Western Undergraduate Exchange scholarship or participating in the California Exchange Program but I am still classified as a nonresident. Why is that? Both programs are tuition reduction programs that allow students to receive a lower tuition by exception. Students participating in these programs will remain classified as non-residents as both programs require students to maintain residency in their origin state. If you were determined to be a nonresident because the residency section on the application was incomplete, you may complete the section here and we will reconsider the decision. If you were determined to be a nonresident because we felt that you did not meet the criteria based on the application information, you may submit the Residency Information Affidavit and all accompanying material to the Residency Officer. It seems invasive. Do I have to submit all these documents? It may seem invasive, but seeking residency for tuition purpose is no different than seeking financial aid. By submitting the required information to the Residency Officer, you can attain a resident classification that will significantly reduce your tuition. Of course, it is up to you to determine which documentation you wish to provide, but insufficient objective evidence of support may result in denial of appeal. If I am not a resident of Oregon, where is my residency? We only determine residency for tuition purposes for Oregon. Each state has its own rules governing residency. You do not have to be a resident of another state to be denied residency for tuition purposes in Oregon. Are there deadlines for submitting my residency information? The last date you can submit either the residency section of the application (if it was incomplete) or the complete Residency Information Affidavit is the last day you can register for classes for the term for which you are seeking residency. Please see the calendar for specific deadlines. Can I apply for residency for prior terms? No. Residency changes are only good for future terms and complete materials must be submitted by the last day you can register for classes for the term for which you are applying for residency. How do I determine if I’m “financially independent or dependent”? The OARs define a “financially independent person” as someone who declares financial independency, who has not been claimed as a dependent on another person’s current or previous years’ tax returns, and who is not receiving more than 50% financial support from another person. A “financially dependent person” would be someone who does not meet one of these criteria. How do I prove I’m “financially dependent or independent”? Tax returns are the best way. If you are under 24, you are required to submit a copy of parent/guardian’s tax returns to prove your status. Other proof would be W-2’s, pay stubs, and other financial statements showing personal income. What do you consider as being financial support? Any and all expenses incurred by the applicant over the past year. This includes housing costs, tuition costs, car payments, etc. If there are no direct payments or contracts, as would be the case for an applicant living at home, then estimate the average local cost for room rentals for a year. If you are not paying for those expenses, then we would consider that to be outside support from whoever owns the property. Can I attend school while attaining residency? You may take up to 8 credits per term while you are establishing the 12 consecutive months of residence required to achieve resident status; however, you must also make sure that your primary activity and financial support are not related to education. For example, if you receive over 50% of your financial support from educational loans or scholarships and/or you are not working or doing another non-educational activity for the majority of your time, education may still be considered to be your primary activity. Make sure to provide objective evidence to support your claim. Why does my financial aid say I’m a resident when I’m listed as a nonresident? Financial aid is determined from the information provided by the FAFSA. If you indicated Oregon as your residence on the FAFSA, the aid distributed will list you as a resident. However, this does not qualify you for resident status, as this is determined by the OAR rules. Your financial aid will revert to whatever designation was determined at the time of your admission application. What is the Residency Officer’s role? The Residency Officer has the authority to apply and interpret these rules and procedures. They can also advise individuals seeking to gain residency for tuition purposes. No other indication or determination of residency by any other institutional office, department, program, or staff represents the official institutional determination of residency. The Residency Officer is bound by the interpretation and application of these policies to make an initial determination at the campus level. If an applicant disagrees with the Residency Officer’s decision, they may choose to appeal the decision to the Inter-institutional Residency Committee (IRC). The IRC meets once a term to hear and rule on appeals to campus level decisions. A student graduates from an Oregon high school. The family has lived in Oregon for quite some time. The student attends college in another state and then transfers to Oregon. As long as the student remained a dependent, she will be an Oregon resident. A family moves to Oregon and the daughter attends North Medford High School for two years before applying to SOU. She is an Oregon resident, but will likely have to document her residency because of the short time her family has been in Oregon. As long as the student remained a dependent, she will be an Oregon resident. A student graduates from an Oregon high school, attends college in another state, and stays in that state after graduation in order to take a job. After several years, he returns to Oregon to attend graduate school. He must reestablish Oregon residency. Just as it takes a year to establish residency, if a person is gone for a year or more and has taken a job in another state, he has lost his Oregon residency. A student’s parents divorce and the student lives with one parent in another state while the other parent lives in Oregon. The student applies to SOU and requests residency. If the Oregon parent claims the student on the federal tax return, he is a resident. If the other parent claims the student, he is not. A student graduates from a non-Oregon high school, moves to Oregon to live with a grandparent or other relative, and claims Oregon residency. The student is only a resident if the relative residing in Oregon has legal custody of the student. Simply moving in with a relative in Oregon does not establish residency. A person joins the military from Oregon as an Oregon resident and applies to SOU after being discharged some years later. The law requires ex-military members who were Oregon residents to return to Oregon within 60 days of discharge to retain residency. After 60 days the person must re-establish residency. A non-resident student marries an Oregon resident, then applies for residency. Marrying an Oregon resident in no way affects residency status. This person must qualify solely on his own merits. A person applies for residency but has little if any documentation. He has been camping, bunking with friends and just hanging out. He does odd jobs for “under the table” money. He may or may not have an Oregon driver’s license or ID card. He may only have an Oregon Health Plan card. Residency rules are not intended to penalize someone if the person is homeless. However, the person must provide sufficient objective documentation to substantiate being in Oregon for at least 12 months. A young woman moves to Oregon to live with her significant other. She immediately begins going to college and, a year later, applies for residency. As with a married person, she would need to establish residency on her own. A student graduates from a California high school, moves to Oregon, and attends Rogue Community College. A year later, the student applies to SOU and asks for residency. Oregon community colleges grant residency for their purposes once the person has been in the state for 90 days. This student would not be a “resident” for the purpose of attending SOU or another Oregon University System institution unless he meets the requirements given above. 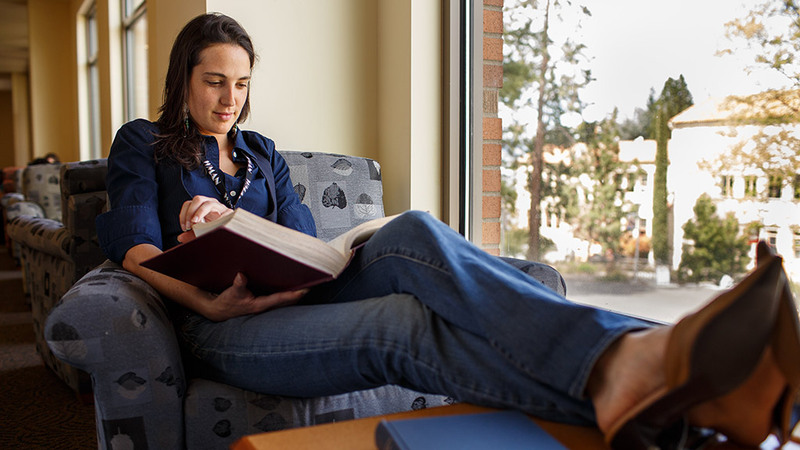 A student attends SOU as a non-resident, graduates, obtains employment within Oregon and, several years later, applies to an SOU graduate program. This student is now a resident, but because she first attended SOU as a non-resident, she must apply for and document her claim to residency. A family that has always lived in Oregon moves to another state, leaving behind the oldest child who will graduate from high school in a year. The student lives with the family of a friend. He applies to SOU as a resident. This student is a resident, despite the fact that his family (his source of financial support) left the state. This is so because of his long-established ties to the state. This is a new principle based on a recent case. Domicile – A person’s true, fixed, and permanent home and place of habitation. It is the place where a person intends to remain and to which the person expects to return when the person leaves without intending to establish a new domicile elsewhere. In order to establish a domicile in Oregon, a person must maintain a predominant physical presence in Oregon for 12 consecutive months after moving to the state. Objective Evidence – Tangible documentation to support the conduct and history of the applicant’s establishment as an Oregon resident. Examples of this type of evidence include, but are not limited to, payment of Oregon income taxes, rental agreements or home purchase agreements, Oregon driver’s license, Oregon voter’s registration card, Oregon employment records, and Oregon automobile registration. Resident for Tuition Purposes – Each state agency has its own policies governing how the state determines a person to be a resident of the state. A person could be considered a resident of Oregon but not be a resident for tuition purposes, and a person does not have to be a resident of another state to be denied Oregon residency for tuition purposes. The policies for determining residency for tuition purposes are outlined on this page. Check out information about Tuition Equity at Southern Oregon University. For further questions or clarification please contact the SOU Residency Officer at residency@sou.edu .